A presentation on the Parabon Snapshot® DNA Phenotyping Service will be led by Kaitlin Echols, Snapshot Case Manager, during the 2018 Annual TCSAAC Conference in Fort Worth, TX, April 6, 2018.
will be speaking about the use and benefits of the Parabon Snapshot® DNA Phenotyping Service at the 2018 Annual Tarrant County Sexual Abuse Advisory Council (TCSAAC) Conference, to be held in Forth Worth, TX, April 6, 2018. 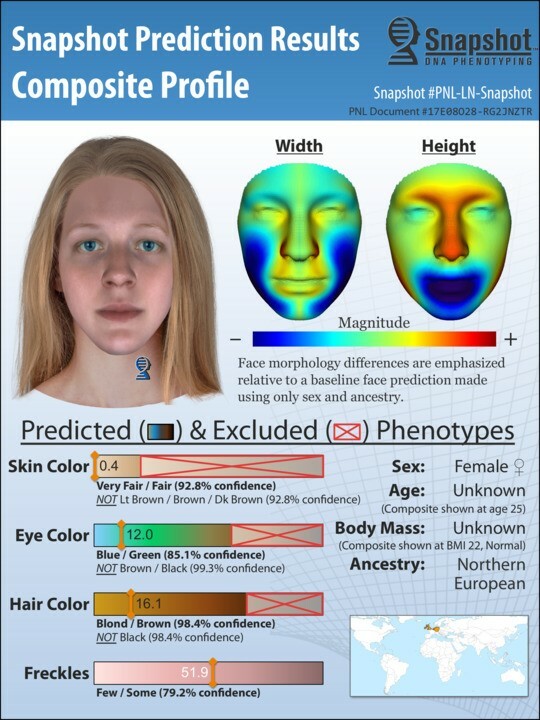 Mrs. Echols will discuss Snapshot, a revolutionary new forensic DNA analysis service that accurately predicts the physical appearance and ancestry of an unknown person from DNA. It can also determine kinship between DNA samples out to six degrees of relatedness. She will discuss how the service can aid in generating investigative leads, narrowing suspect lists and identifying unknown remains, and review actual cases where Snapshot has provided useful information to investigators. TCSAAC was founded in 1981 to improve how sexual abuse cases are handled. Members are active in lobbying for legislative change, helping to develop training to improve services to sexually abused children and their families. Other projects include development of treatment guidelines for both victims and offenders of sexual abuse. TCSAAC allows for members to network with an expanding group of professionals that are interested in ending sexual abuse. This entry was posted in Biometrics and tagged DNA Phenotyping, Parabon NanoLabs, Snapshot, TCSAAC. Bookmark the permalink.